Appliance repairs are easier with the winning Advantage. Appliance breakdowns always seem to happen at the most inconvenient times. "We Repair All Major Brand. 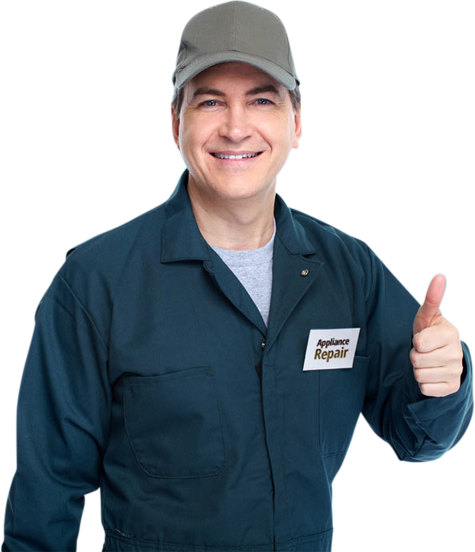 Top Quality Service"
Nobody likes paying more for repairs than they have to, so getting the best value from your appliance repair in San Francisco is important. We understand that you need rapid response times on service calls, fixes that are right the first time and service professionals who arrive on time. Our dependable technicians are licensed and insured, and they stay up-to-date on all the latest appliance technologies, innovations and models with ongoing training. In need of quick range repair in SF? We've got your back. Advantage Appliance Repair offers prompt, reliable service for all of your range's issues. Whether your stovetop is kaput or your oven isn't cooking, we can help. You rely on your range every single day. When it's not working, you need someone to fix it fast and correctly. For all your stovetop repair and oven troubleshooting needs, we're your fix-it experts. We know you're busy, so we offer appointment options that fit your schedule. We know your time is precious, so we also arrive on time. Our technicians are experts in their field. As such, they perform thorough, efficient range troubleshooting that gets to the heart of the issue. We want our repairs to keep your range running for years to come. That's why we use only high-quality range repair parts that maintain your range's efficiency. Use non-abrasive cleaners for glass-top ranges, and wipe all stovetops down after each use. Don't spray cleaners on or around gas burners, or you'll risk shorting out the switches. Also, don't pull off knobs and spray the stems with cleaner. This can also short out the stove's electrical system. Instead, use a damp cloth or sponge to wipe around knobs and burners. Wipe up spills as they happen. Spills that are left in the oven can harden as time goes on. They can also be a fire hazard during subsequent baking sessions. Wipe around doors regularly to ensure your oven door seals properly. Use the self-cleaning function a couple of times a year, or clean it manually. Be sure not to spray cleaners in your oven without first disconnecting the electricity. Occasionally read through your range owner's manual. You'll be surprised by how many helpful tips you can find in the manual. Many of these tips can help you avoid potential range breakdowns. When your range does fail, however, Advantage Appliance is here to help. With skilled repair techs standing by, we're your source for excellent range repair in SF. Your oven and stove are two of the most important appliances in your home. When your range stops working correctly, it's more than a little frustrating and disruptive to your life. The frustration ratchets up ten-fold if your range stops working altogether. When breakdowns happen, it's vital that the company you call is a professional oven repair specialist. -Technicians are skilled in all major oven brands. -Company representatives return your calls promptly. -Technicians arrive on time and alert you to any delays. -Emergency service appointments are available. -Estimates are provided and agreed upon prior to repairs. -A full range of repair services are available. -Parts are carefully sourced for quality and affordability. -The company carries the appropriate insurance. -The company is licensed and bonded. -Technicians listen to your oven concerns and symptoms. -Company reps don't provide price quotes without seeing your range. A professional San Francisco company like Advantage builds its reputation on honesty and skill. Everything we do hinges on your complete satisfaction today, tomorrow and next year. Take a look at our reviews on the "Appliance Repairs in SF" Yelp page. There, you'll see just some of the ways our customers are pleased as punch. We want your repairs to last for years. We offer the quality parts and labor to make that happen. When you want an oven repair partner with your best interests at heart, call Advantage. You've invested a considerable chunk of your hard-earned money in your kitchen appliances. The last thing you want to do is to spend tons more on oven repairs. Getting the most value out of your range and keeping it running efficiently are key. Did you search for "affordable cooktop repair near me" on the Internet? If so, probably dozens of company names popped up. Don't be fooled by listings that only focus on cost. The true value of a repair involves more than just money. It involves the quality of the parts and workmanship too. After all, you don't want to pay for a repair that has to be made over and over again. Providing quality, affordable stove repair services is our top priority at Advantage. We want to give you the longest lasting repairs so you get your money's worth from your oven. This is accomplished by providing skilled technicians, high-calibre parts and durable repairs. Still, there are some things you should know about repair costs. We don't usually quote you a price over the phone without first seeing your oven. There are dozens of things that could keep your oven from heating properly for example. It would be unfair to give you an estimate without knowing the true problem. You'll receive a written estimate of your repairs before any work is started on your range. We use the highest quality parts available that offer the most value. Sometimes, there are several parts options available with varying levels of durability. We welcome your input during this phase. Then, we'll give you the run-down on what we think is best for your oven. You can expect your major kitchen appliances to last 8 to 10 years. If you meticulously maintain your stove, it will often last longer. Advantage technicians will be honest with you about your oven's needs. If regular maintenance will make a difference, we'll tell you. Are you weighing the pros and cons of fixing your oven or replacing it? We can help there too. There are thousands of different ovens, stoves and ranges in homes across the Bay Area. You may even have a mixture of brands in your own kitchen. Brands aren't the only source of variety in local ranges, cooktops and stoves though. There's also a vast disparity in features, fuel sources and age. Do you have a Miele cooktop but a GE wall oven? Are you nursing along an older all-in- one Wolf range? Do you need an expert to help you protect your investment in a brand-new Viking oven? 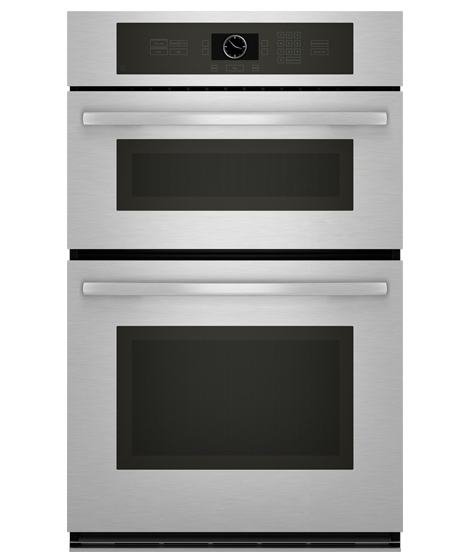 At Advantage, we could work on an old Thermador oven one minute and a new LG range the next. That's why it's critical that our technicians are trained in all brands, models and types of ovens. Technicians with years of experience and training provide quicker and more accurate diagnoses. They know what systems are most likely to fail. They know what issues to rule out for certain brands or models. The mental checklist our techs work through allows them to be more efficient with troubleshooting. Familiarity breeds success and efficiency. When techs fix a particular brand dozens of times, they know exactly what your oven needs. Expert repair reps know what parts your oven repairs require. They know how long it usually takes to source those parts. They know the costs involved and how long it takes to make the repairs. As a result of this experience, you get more reliable estimates. Each oven, cooktop or stove has a peculiarity or two. A highly trained repair tech knows just how to tweak your range to get it up and running. These techs know what works and what doesn't work. They have experience with different types of repairs and how to perform them so they're durable. Your gas or electric oven has the potential to create hazardous situations for you and your family. An expert technician knows when safety is compromised and can act quickly to protect your home. Don't endanger your safety or the longevity of your appliance. Call the local range repair experts at Advantage for all your repair and maintenance needs. Even under the best of conditions laundry can be a chore, but when a dryer leaves clean clothes wet and soggy, it's time to call in the professionals. Our technicians have the specialized parts and tools on hand to properly repair dryers efficiently, so that you can return to warm, dry clothing. 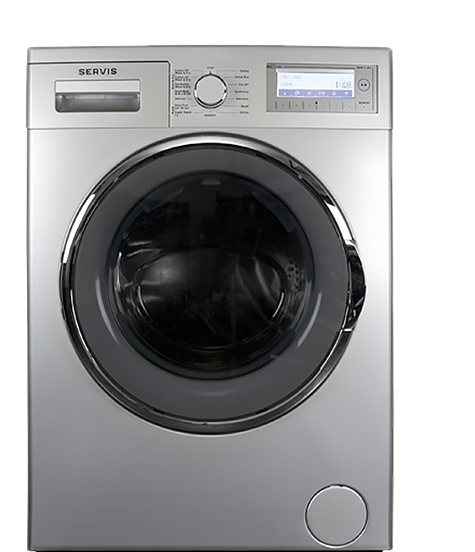 Washers streamline laundry duties and keep families clothed, so a washer breakdown can create a significant burden. You can count on us to fix all brands and types of washing machines so that you can return to a more carefree laundry duty. Your dishwasher is most likely a critical part of your daily home life. It can save you hours of washing dishes by hand and streamlines your kitchen activities. When your dishwasher stops cleaning properly, you can count on us to fix it quickly and efficiently. Your stove or range is probably one of the most used appliances in your home, and it's important to your family's nourishment. When your cook-top stops working properly, it is important to call a professional to service it quickly so that further problems are avoided. Ovens are important appliances in helping you create meals to nourish your family. When oven breaks down, it can create difficult mealtimes and interrupt your plans. Our experienced technicians repair your oven quickly and reliably so that you can get your mealtimes and lives back on track. Appliances always seem to go wring when you least expect it. It can be when you really need them to be working or when you do not have a lot of time to consult companies to fix them. You may even decide to buy a new appliance rather than using an appliance repair company to save hassle. However, here at Advantage Appliance we make the repairs really simple. We work hard to get to you as soon as possible and at a time that is convenient to you. We want to make everything as easy as possible and a repair should also save you money compared to buying new appliances. We specialise in appliance repair in San Francisco, which means that we know all about the local area and how to get to different areas within in. We will therefore get to you more quickly than a company that is not familiar with the area. We also know all about the types of appliances that are sold locally and so will have more knowledge of those than a company not so experienced in appliance repair in SF. We realise how important it is that your appliances get treated with care and respect as well as getting fixed properly. That is why we used well qualified engineers that know exactly what they are doing. This means whether you need an expensive Miele appliance repair or have cheaper items we will treat each in the same way. We know that even if you have paid less money, that item is likely to mean as much to you and we will make sure that once it is repaired, it looks as good as it possibly can and works as well as it possibly can too. Our engineers have experience in all brands and all types of white good so they can do everything that you need from a Viking appliance repair to a small LF fridge. We come highly recommended and some customers have even provided testimonials for our website. It is very easy to contact us and so you can phone or email and within our working hours you will get a response. Our office hours are Monday to Friday 8am to 5pm and we will do our best to deal with your concerns or to get back to you as soon as possible. We will discuss your needs and match you to an engineer that is most qualified to help you and organise an appointment for you.